The Digital ArcHound PDF Digitizer Printer can be used with the suite of DA Document Manager Client Consoles for archiving any document that can be printed. Simply print any of your documents, pictures, financial statements, etc, while DA Document Manager application is running and your digitized copy will be instantly included in your console for archiving. It really is that simple. The Digital ArcHound PDF Digitizer Printer is FREE for you to download and use. The digitizer can be used to convert any document to a PDF document. 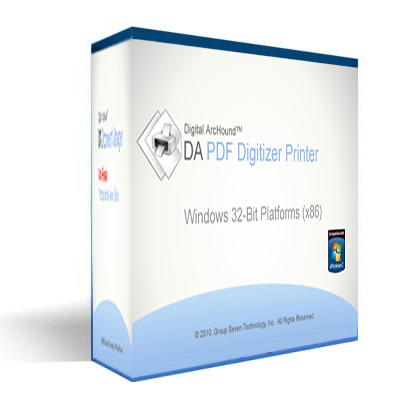 Download and install the digitizer on your computer and a new "Digital ArcHound PDF Digitizer" printer will appear. Just remember, if you can print it - you can archive it. There may be other sites that claim to have Digital ArcHound downloads, however, those downloads are not Genuine Digital ArcHound products and may not be related to document archiving purposes. If you download from any other site, your system may experience undesirable consequences.